District 21 – November 2011 – Lincoln Nebraska A.A.
12 Traditions read by Linda S.
Intergroup Liaison Report (Emily S.). Not present, Amy printed out the report and read. See intergroup website for report. Amy visited "Let’s Hear It" group to confirm it has folded. No one was there. It has been removed from Lincaa.org and Central Office meeting lists. Amy has been unable to get it removed from Area41.org, despite multiple attempts to contact web master. Area41.org meeting list is very outdated; Let’s Hear It, Changing Times groups are still listed-as well as a mistake where a New Jersey group is also listed (Stockton Speaks Group). The Steps We Take and Cafeteria Groups meeting locations are also out of date. I had a great experience filling in as Alt DCM at Area 41 Assembly this weekend ! I am just going to give you a quick recap of the weekend, as all the details will be formally given in the Newsletter to prepare us for the new term. We had 6 voting members from our District: Jon R, Sam, Emily, Jenny H, Jeremy E & myself. Also, we had at least 3 new District 21 GSRs who attended who were able to enjoy the experience of the Elections/Area 41 Assembly. *A motion was made to accept nominations from absentees who were not able to be at Area 41 Elections due to reasons beyond their control. Thank you for allowing me to Serve as your Alternate DCM for District 21 ! Pocket of Enthusiasm (Jenni H.): Business meeting in Nov. voted to make Jenni acting GSR early so that she could vote at Area. Meeting is going good, they have had about 50-60 people with lots of new comers. Lots of good speakers. Sufficient Substitute (Becky N.): Last business meeting elected new program chair Jamie D. attendance is good. The program chair is responsible for finding speakers. They have a 4 year Anniversery Dec 1, 2011at 6:30 pm. Question was presented if we could have access to the wheel chair lift at ROCC and is it inspected. Women’s Circle of Friends (Jennifer. ): 20-30 in attendance, children are welcome. Lots of people from the treatment centers. Speaker last Sunday every month. New GSR Vicki P. and alt Bonnie H. They are bring crackers for the GSR workshop. Young People’s (Jeremy E.): Not present. cafeteria Group (Tom B. ): Not present. Seeking Solutions (Jon R.): Has not been present recently however assumes everything is fine. The Steps We Take (Linda S.): New GSR Chris C. Group size is still the same, doing well, nothing new. The Wednesday noon luncheon group (Margaret N.) Meeting is fine, and good attendance. It’s a speaker meeting. Nothing else new. Christmas music during the meeting starting at 12:30 for every week in December. District boundaries agenda item. This was approved at all districts and submitted to Area 41 at November, 2011 assembly. Combined GSR/Delegates Report workshop Dec. 3rd. To be held at ROCC. Please check out and distribute flier to your groups. Here’s the breakdown of what districts are contributing (I realized we didn’t have any money so I didn’t commit to too much). As we discussed last month, Sam, Jennifer and Linda will help organize. Paid ROCC for $50 for the rent. Bernice-District 3, is going to make a cake. Each district should try to get 3 groups to contribute a pot of soup. District 3 is bringing Wild Rice/Ham and Chili, and I think a Chicken soup. District 21??? Margaret from Wednesday Noon is going to bring potato mushroom soup, muffins, and a large coffee pot. Chris C. from Steps We Take is making a big pot of chili and bringing an ice water dispenser. We will provide 30 copies. We will need to make copies of GSR toolpack once this gets revised. District 21 will provide coffee service. We have more than enough coffee/cream/sugar/cups for this event. We also have supplies to make several pitchers of ice tea-just need ice and pitchers– and decaf coffee too-use ROCC coffee makers for that, if anyone wants that. We could use a big coffee pot. District 21 will provide tableware. We have leftovers from our events that need to be used (plates-60, knives-50, napkins-200, spoons-30, forks-20). We don’t have bowls-will need 100, and we need a package of forks and spoons as well. Women’s Circle of Friends is bringing crackers. Obtain a lift key at ROCC, asked exec pastor Janet. They will provide a key for the lift and Jennifer will call after the Holiday to get that key for use by district 21. 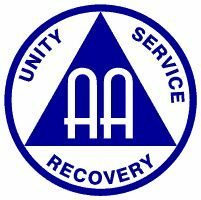 Take the AA general service office group information sheets back to your group, update and bring back to our next district meeting.